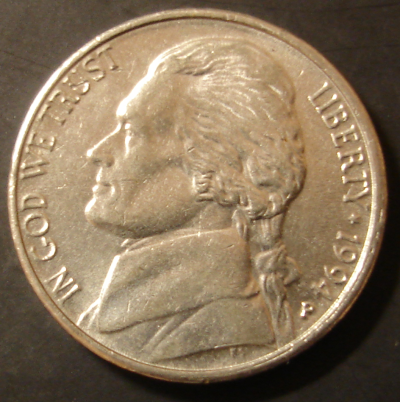 Jefferson Nickels are one of the longest running coin designs in American History. 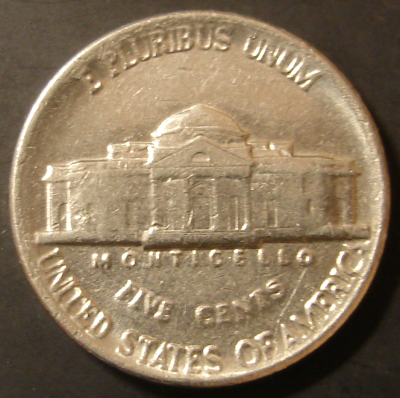 Started in 1938 after a design contest won by Felix Schlag, the design and metal composition has largely gone unchanged since it's inception. 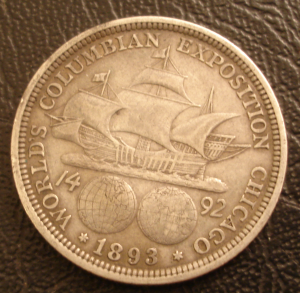 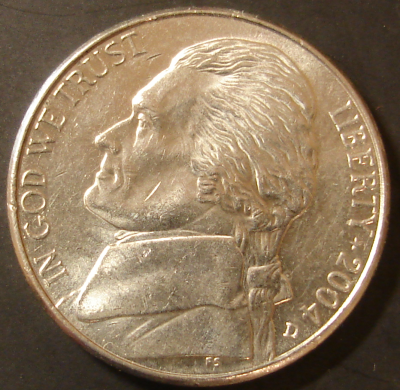 Why this design replaced the beloved Buffalo Nickel design is a mistake that is anyone guess at this point. 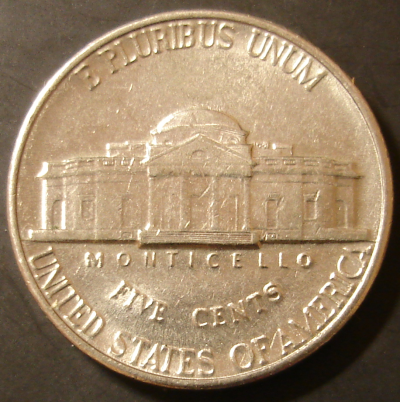 While the reverse was at the time one of the most complex attempted, a realistic view of Jefferson's home, Monticello, this design has lasted way too long and should have been retired decades ago. 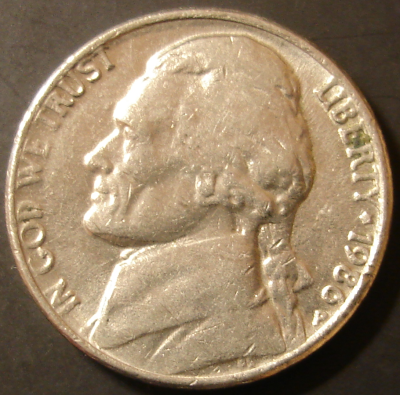 It is a sad comment on modern politics that once Presidents got on coins that it has been nearly impossible to get rid of them. 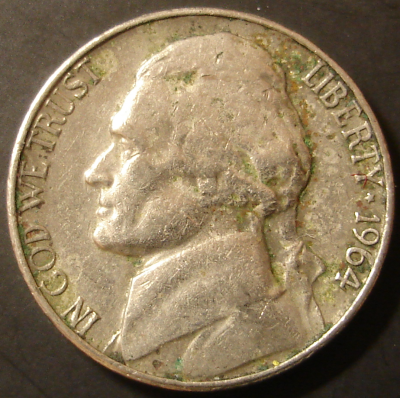 The metal was changed during World War II to a silver based composition and reverted back after the war to the Nickel Copper alloy. 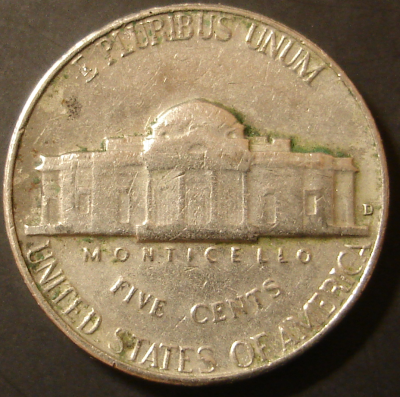 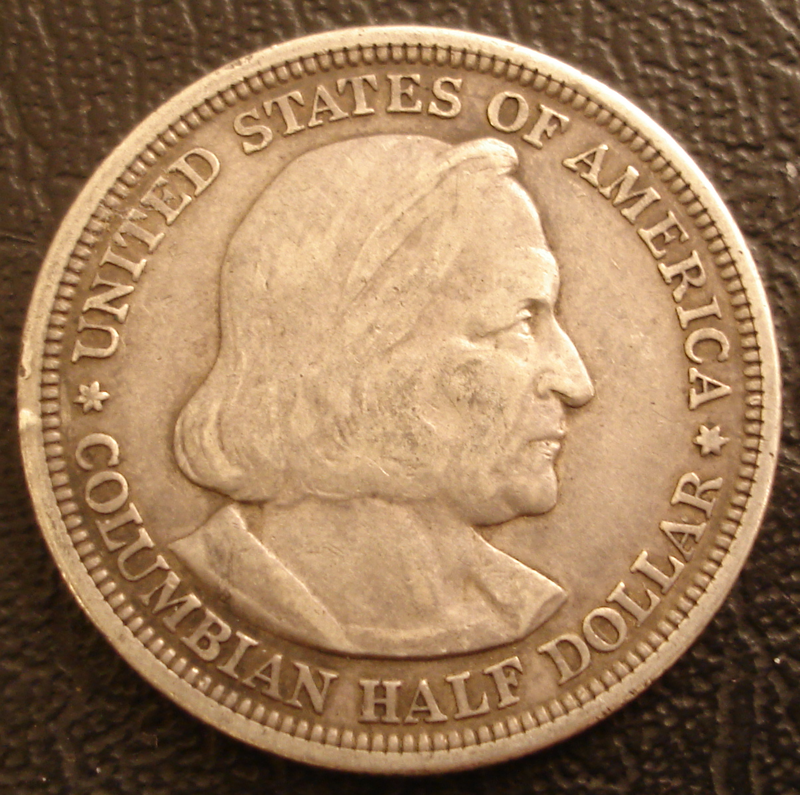 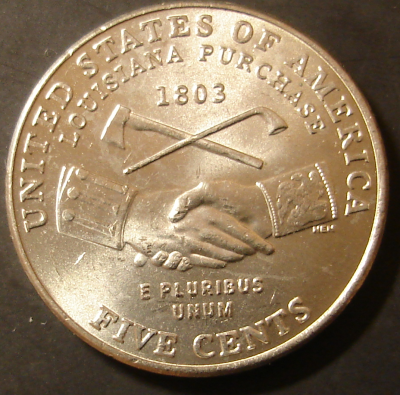 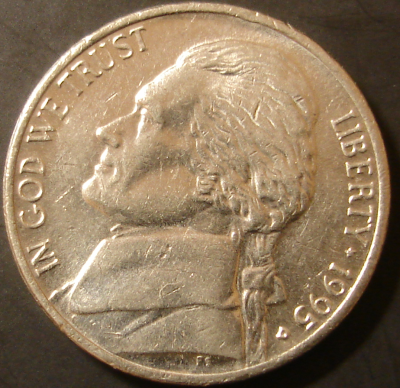 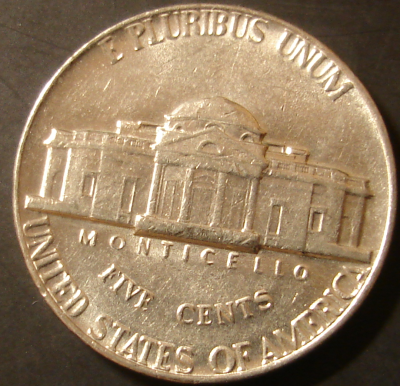 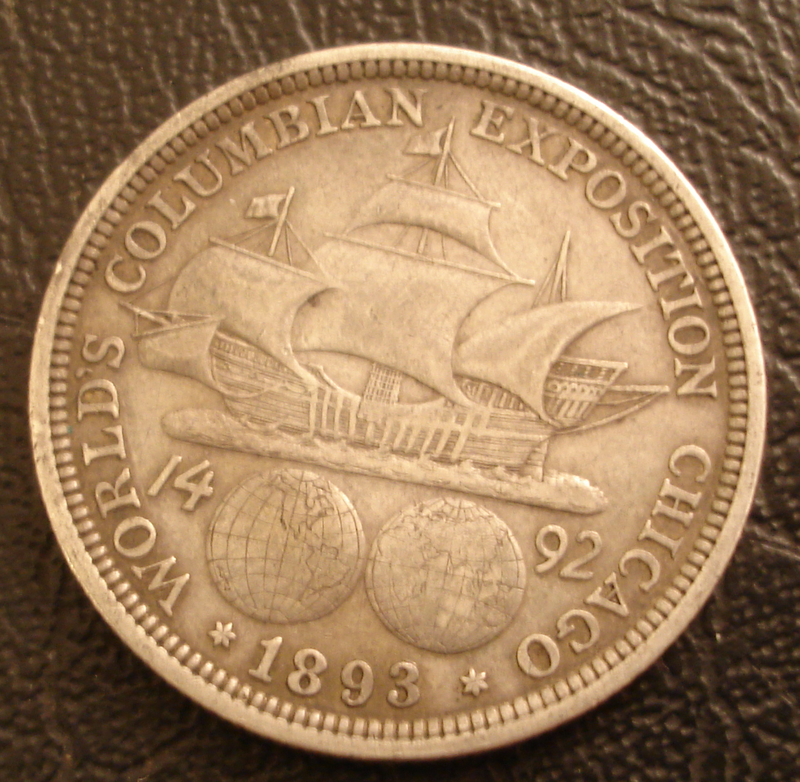 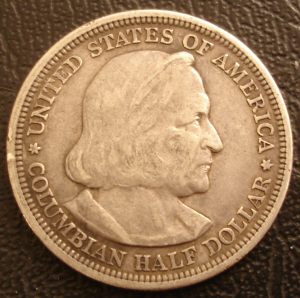 These are rarely found in circulation but older Nickels are commonly discovered. 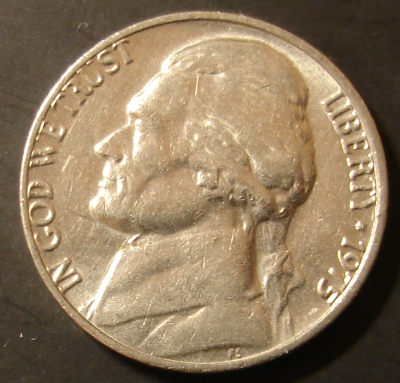 The hard metal and the unchanged design make it idea to circulate just about forever. 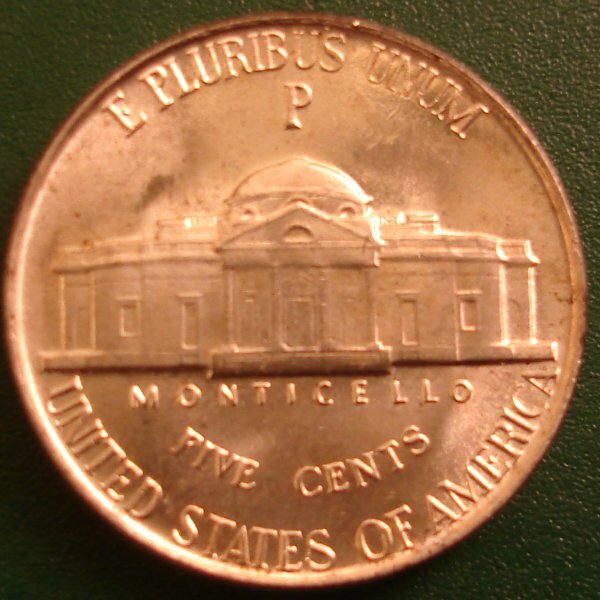 Finally temporary change came in 2004 when the government commemorated the Lewis and Clark expeditions which resulting in some suprisingly nice design which have been far to short lived. 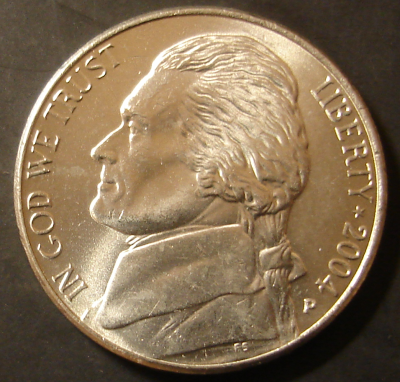 My favorite was the 2005 version which had a great change to the obverse with a close up profile of Jefferson with a new script font for the word "Liberty". A well balanced and asthetic design with interesting reverses was a breath of fresh air in a stagnant American coinage system, it was of course doomed from the start and replaced by the ugliest coin design ever seen, our current 3/4 facing Jefferson with bugger eyes. 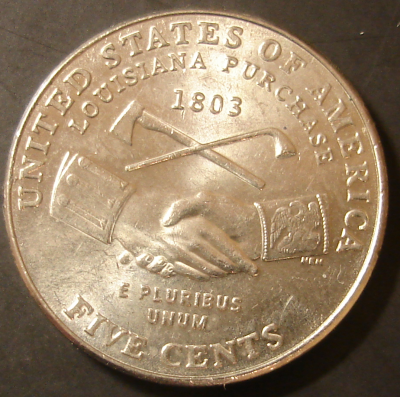 This latest coin is so ugly it takes an in hand view to really apreciate just how ugly it is. 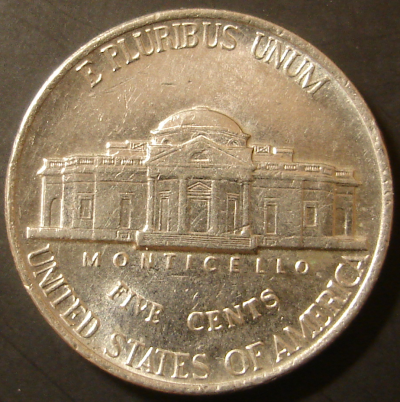 These mint images make it look better than it is, but I'll get a photograph of a circulating version soon. 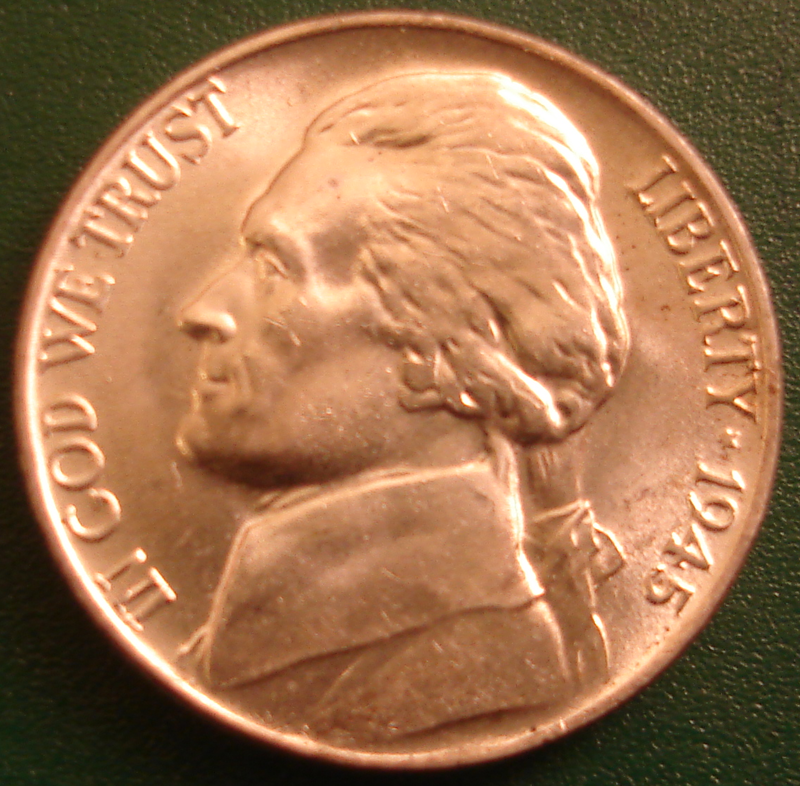 Occasionally I find a Jefferson in circulation that I might pull out for no particular reason. This is a '64 Nickel that I found in 2008.